We worked together with Panavision on an integration of the in-camera look capabilities of the Panavision DXL2 camera with LiveGrade Pro. 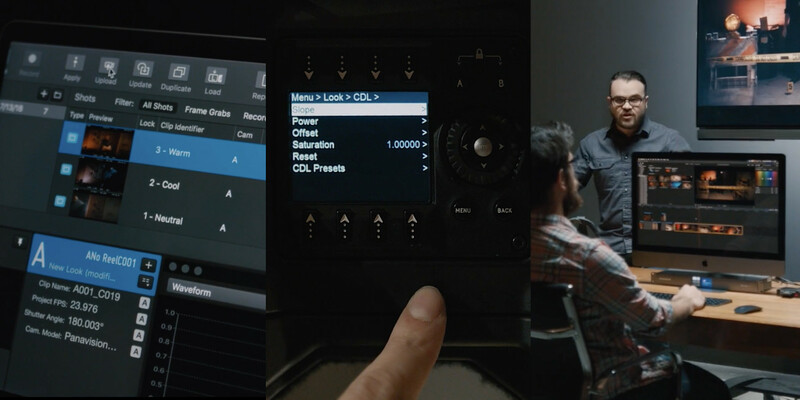 Michael Cioni from Light Iron / Panavision shows this new integration in a great one-take-video of the workflow – which covers adjusting a look in LiveGrade Pro, uploading the look through via Wifi in the DXL2 camera, recording clips in camera, and editing the automatically graded proxies in a post production scenario. Want to try out the integration yourself? Download your free 14-days trial of LiveGrade Pro! Test LiveGrade Pro with our free 14 days trial! Patrick is a product manager for Pomfort's on-set applications. For his work at Pomfort he combines a technical background in software engineering with practical experience in digital film productions – and a preference for things that actually work.